Written by Amanda Coers – Landmark Life Insurance Company hosted a Business After Hours event Tuesday evening in their newest location downtown. Attendees were treated to light hors d’ oeuvres and refreshments as well as a look at the remodeled interior of the old Bank of America building on Center Avenue. The modern with just a touch of retro flair style revamp serves as a backdrop for Landmark Life’s most recent expansion into administrative services. This newer venture from the longstanding insurance company is monikered “Landmark Admin” which works with other insurance companies nationwide, issuing policies, paying agent commissions, handle customer calls, make claim payments, and a wide range of other administrative services. “We take care of the customers, the back office process,” explained Tom Munson, who became President/CEO in 1996 after his father in law, the beloved Putter Jarvis, retired. Putter Jarvis co-founded Landmark Life Insurance Company in 1964. Landmark Life Insurance currently has 75 employees in Brownwood, with 25 working at the new location with room and plans to grow. The Musons purchased the old Bank of America building on Center Avenue two years ago. Renovation began in February 2018. “We used all local to redo it, everybody came in and put it back together. There are a lot of good workers in Brownwood,” Jamie said. “This is a great place to be, it was built very well. It was just sitting here with not much happening, so I’m really glad we’re in here. I’m excited to have 25 people down here and I’m looking forward to having 50 down here,” Tom added. 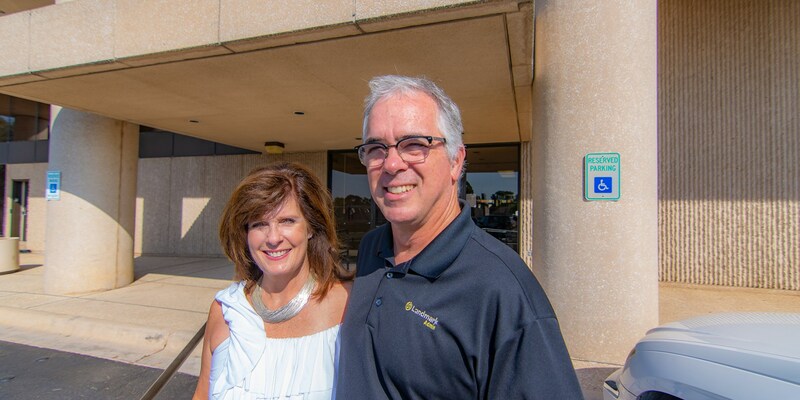 While the building itself seems perfect for the company’s needs, both Tom and Jaimie are happy to see their employees bringing life to the downtown area. “We’re excited that they can go out and have lunch and do some quick shopping while they’re downtown,” Jamie said.